UPDATE: April 1, 2009 – YouTube has been blocked again in China. After being temporarily unblocked on Sunday and Monday (China time), YouTube was blocked again starting Monday, March 30 late in the day PDT. As before, no official explanation has been given for the blockage. Around the globe, government authorities often use legal or technical means to censor information and communications online. The recent blocking of YouTube in China was done without notice to the public or any explanation of the legal basis for the action. Such actions are inconsistent with the rule of law and the right to freedom of expression. The Global Network Initiative was formed to help stakeholders in the technology industry uphold global human rights norms in the face of censorship pressures.  The Initiative brings together a broad spectrum of companies, civil society organizations, investors, and academics to establish global operational principles for companies to uphold human rights norms, and to collaborate on public policy — including encouraging governments to be specific, transparent, and mindful of internationally recognized human rights. Ongoing and recurring incidents around the world have highlighted the need for this Initiative. Recent blocking in China of the online video site YouTube is one illustrative case of practices that result in inappropriate restrictions on freedom of expression. The Chinese government’s statements to date have not provided an explanation of whether YouTube is officially blocked, and if so what content may have violated the law, or on whose authority the blocking was imposed. The GNI calls on governments across the world to comply with international human rights standards and the rule of law in using legal process or control of infrastructure to remove or limit access to online information. Governments should only take such action in specific and narrowly defined cases, and should publicly articulate the basis for such action. Freedom of opinion and expression is a human right and guarantor of human dignity. The right to freedom of opinion and expression includes the freedom to hold opinions without interference and to seek, receive and impart information and ideas through any media and regardless of frontiers. Broad public access to information and the freedom to create and communicate ideas online are critical to the advancement of knowledge, economic opportunity, and human potential. Since 2007, YouTube has been blocked in over a dozen countries. In blocking YouTube, many governments are falling short of human rights principles in troubling ways. Many blocking remedies appear to be broader than necessary to further local law and policy goals. Such overbroad actions inhibit the exercise of basic human rights to freedom of expression and access to information. Blocking not only impacts the right of people in that country to speak and access information, but also the right of the world to speak to people in the country imposing the block. This incident is only the latest example of increasing threats to freedom of expression around the world. Responding to such threats requires collaboration among a broad spectrum of companies, civil society organizations, investors, and academics, working with governments and multilateral organizations that support international human rights and the rule of law.